The fourth project is going to be ongoing (or stillborn); I am going to create a suburb in opensim. This is still in the embryonic stages but generally I want to do a better suburban oar than what we have; and I want to take advantage of our new ‘var region’ technology. This will be created in smaller, traditional 256sqm regions (using ODE instead of Bulletsim physics) with an eye towards combining the finished regions into one giant var region. I’ve broken ground on it. I’ve created 4 regions and made 1 8094 parcel in the middle of each region, in combination it will be an approximately 3200sqm (1/4 sim) park (tenatively titled “central park”). 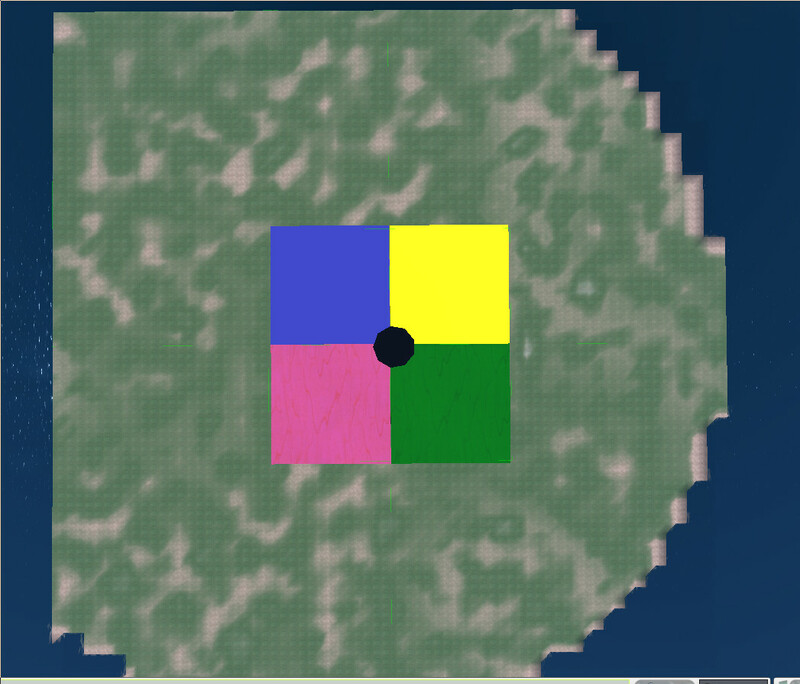 Here I’ve placed tiles to represent the area which will become the central park of my suburban project.